I have been introduced to this film about 4 years ago by a friend, who is equally obsessed with fashion as I am. It's a sort of a documentary film, where the viewer gets to see how the September issue of Vogue magazine comes together, what happens behind the scenes and everything involved. Of course on of the main focus is Anna Wintour. I love fashion (isn't that obvious?) but I do not agree with most of the stuff that happens in the fashion industry, which is may be considered ironic or hypocritical of me, but hey, I love the fact that it's such a large creative industry that has no boundaries. However I hate the fact that some people have more money than sense, and spend millions for a photo-shoot and then a tiny mistake happens, they re-shoot the WHOLE thing again to spend another gazillion pounds on what was perfectly fine to begin with! 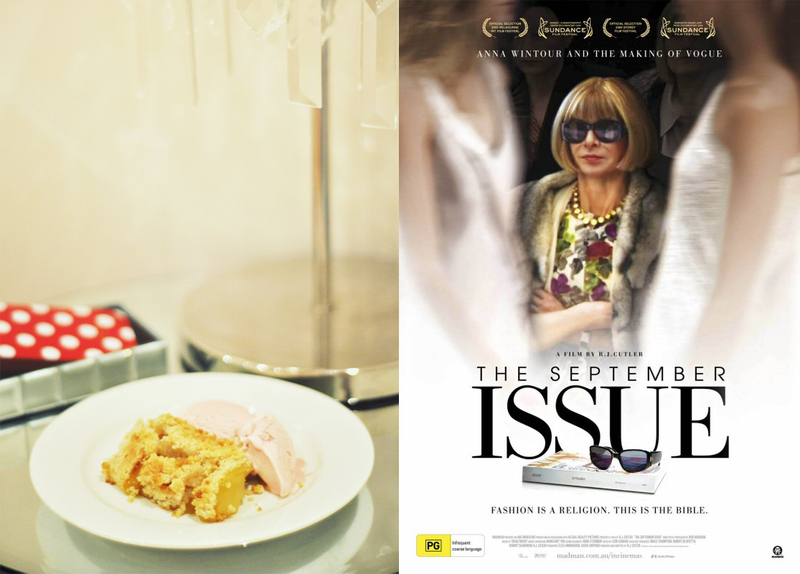 Did you know that the film 'The Devil Wears Prada' is loosely based on Anna Wintour? Yep she is Miranda Priestly for sure! I do respect her for being a perfectionist, for working hard and for loving what she does. It's great and fashion is great, but people like her need to realise that they are not curing cancer or stoping world hunger, and need to stop their arrogance of believing that the world can't be without them. I must admit it's fairly easy and straightforward. 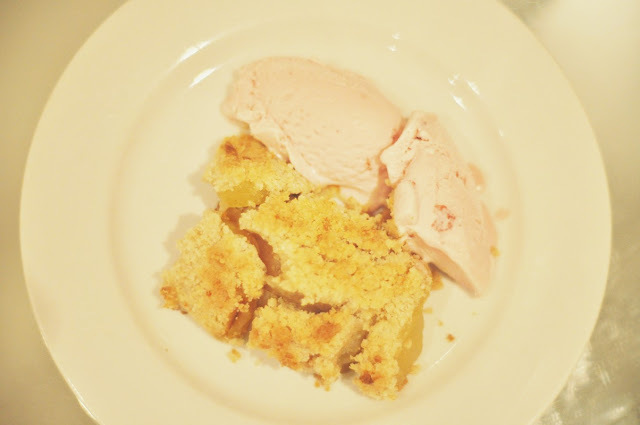 You can make your own crumble or just buy a ready one (which I have done) . You bake it until golden and serve it with a nice cold ice cream…any desired flavour!